Our normal kind of holiday usually goes somewhere warm with lots of sights to see…. If feeling extra active, we might visit the gym once, if at all (except when cruising on Celebrity…). This time around, however, we’re spending a week at Playitas resort on the Spanish island Fuerteventura. 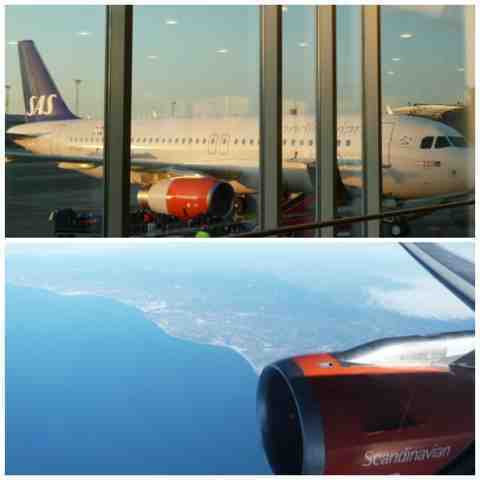 We left Copenhagen veeeeerrry early Sunday morning and flew SAS here, it took 5 hrs. 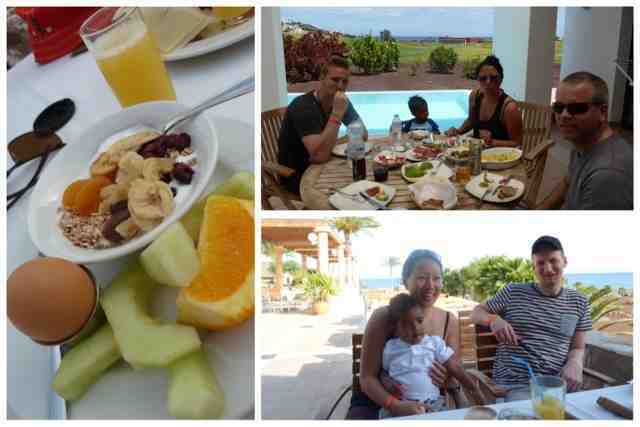 Playitas is beautifully located right by the sea and has a very wide variety of activities. We’re travelling with our good friends/relatives and are residing in a villa, facing the golf course and the sea. The villa has two big bedrooms with ensuite bathrooms, extra bathroom, huge kitchen with dishwasher, laundry room and, best of all, a looooooovely spacious terrace with our own private pool. Food variety is really good, you can eat as if you’re on a health farm, or the usual steaks and chips, or a mix of the two. Lots to choose between. Activities are plenty and so far I’ve been doing aerobics, powerwalking and swimming. It’s great swimming outside in the olympic pool and I already booked anothet hour tomorrow morning. The atmosphere is relaxed and you can dine in your Juicy tracksuit without feeling underdressed – love it! Ser helt underbart ut! Há det så bra hela "gänget".